Enter the mind and heart of a legend of contemplative Christianity. Thomas Merton, Trappist monk, author, and student of Zen, remains one of the most important and beloved figures in the modern Christian contemplative movement. His writings, which bridge Eastern and Western spiritual thought, continue to inspire us with their real possibilities for immediate and direct experience of the divine. Now James Finley, who for six years lived, prayed, and studied with Brother Louis, as Merton was known at the Abbey of Gethsemani, shares with us the gifts passed on to him by this towering figure on Thomas Merton's Path to the Palace of Nowhere. First presented at a series of popular retreats, this full eight-CD program takes a participatory approach to Merton's most useful teachings, helping us to discover our true self … to disappear into God; to be submerged into his peace; to be lost in the secret of his face, as Merton said, through daily practices including contemplation, prayer, and faith. In the end we find ourselves in what the Taoist sage Chuang Tzu called the Palace of Nowhere, where all the many things are one. There is an Eastern teaching called transmission of mind, in which the enlightened mind embodied in the master is manifest in the student's awakening. 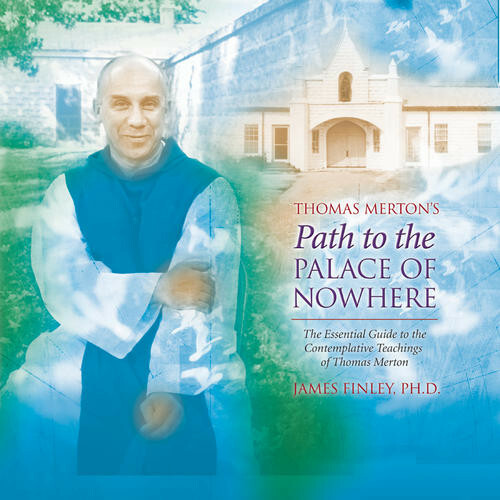 It is in this spirit that James Finley invites us to follow Thomas Merton's Path to the Palace of Nowhere. I really love the way James Finley teaches. He is clear, he is poetic, he is contemplative, he is common in the deepest way possible, he sometimes makes you laugh, sometimes cry. These mp3's is connected to, but not identical, to his book "Merton's Palace of Nowhere". I read that book at the same time as I was listening through the mp3's - they both deepened the experience of the contemplative way. I've since the purchase of them listened to them over and over again - and I will return to them. I haven't read this book. Read Thomas Merton's works and you won't need a book that attempts to explain what has already been written or a book that tries to describe the man who wrote the books.